Comcast just gave merger junkies plenty to watch on cable. The biggest U.S. operator has agreed to buy rival Time Warner Cable for $45 billion in stock, interrupting a hostile takeover attempt by smaller Charter Communications. The target got the price it wanted, but not the terms. Regulatory risks are high. And all eyes will still be on the crafty John Malone. The maneuvering by Charter boss Tom Rutledge appeared to have relegated Comcast, which is still busy integrating NBC Universal, to a minor role of assisting with the smaller operator’s unsolicited bid for Time Warner Cable. Instead, Comcast Chief Executive Brian Roberts has outflanked his would-be partners. Roberts is offering Comcast stock worth $159 a share, just $1 shy of what Time Warner Cable boss Rob Marcus demanded from Charter, which has so far only sweetened its bid to $132.50. Marcus also wanted Charter to pay at least 60 percent of the purchase price in cash and put in place collars to protect Time Warner Cable shareholders. He is getting neither from Comcast. Some aspects of the deal may help support Comcast shares. Putting the two companies together is expected to yield $1.5 billion of cost savings. Taxed and capitalized, those would be worth about $10 billion. That more than covers the 18 percent premium to Time Warner Cable’s most recent closing price – although it has been propped up by anticipation of a deal with Charter. Comcast also may offer another sop in the form of a $10 billion stock buyback. The merger math could help distract investors from regulatory concerns raised by combining the country’s top two cable operators. Comcast is proposing to sell 3 million of Time Warner Cable’s 11 million pay-TV subscribers to keep its market share below a rule-of-thumb ceiling of 30 percent. That’s the same threshold it reached after previous deals in 2002 and 2006. However, trustbusters are tougher these days, as AT&T found out in 2011 when the Department of Justice blocked its attempted takeover of T-Mobile USA. There is also no guarantee that Rutledge and Malone, whose Liberty Media owns 27 percent of Charter, are finished either. Rutledge is targeting a former employer which passed him over as CEO and may not be satisfied with the subscribers Comcast plans to offload. Malone is a notorious tactician, who in the last couple years has gone headlong back into the cable industry he helped pioneer. Stay tuned. Comcast has agreed to buy rival Time Warner Cable in a $45 billion stock swap, sources familiar with the matter said on Feb. 12, confirming a report by CNBC. Time Warner Cable shareholders would receive 2.875 Comcast shares for each of their shares and wind up with about 25 percent of the combined company, the sources said. The deal would value Time Warner Cable shares at about $159 apiece, based on Comcast’s closing share price of $55.24 on Feb. 12. Comcast is offering to sell approximately 3 million of Time Warner Cable’s 11 million video subscribers to keep its share of the market to about 30 percent in an effort to appease regulators, they added. The deal will generate an estimated $1.5 billion of cost savings. 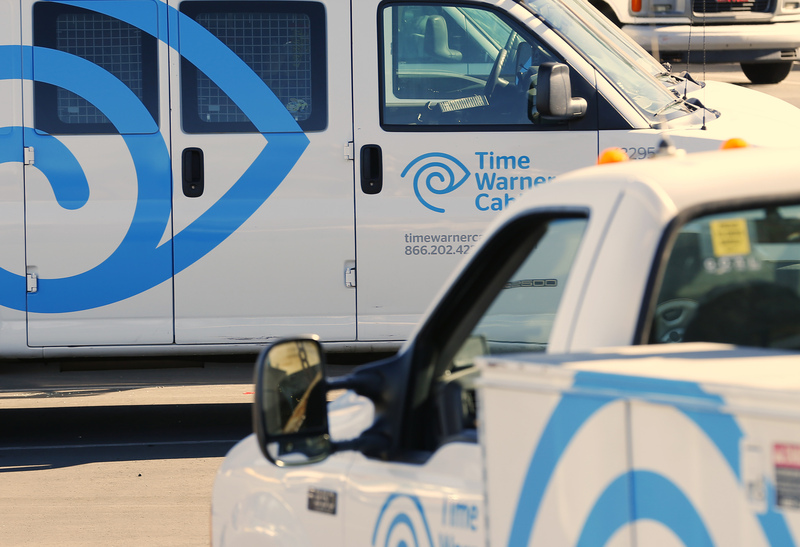 Charter Communications has been trying to buy Time Warner Cable. Its latest offer was $132.50 a share, which was rejected. Charter on Feb. 11 nominated a full slate of 13 directors to replace Time Warner Cable’s existing board members.